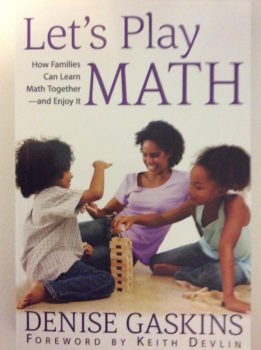 By Kathy Kuhl Review of Let’s Play Math: How Families Can Learn Math Together—and Enjoy It by Denise Gaskins. 290 pages. Tabletop Academy Press. What if we’ve been teaching mathematics the wrong way? Denise Gaskins’ new book, Let’s Play Math, is revolutionizing how I think about the subject. She is a veteran homeschool mom who enjoys mathematics and has a knack for sharing that joy. She is a veteran teacher and tutor, from pre-K to undergraduate level. Here’s an analogy. Suppose you wanted your children to study baseball. You taught them to throw and hit, and in high school, you taught them the rules of the game and strategy, like when to bunt or steal a base. But imagine they never played or watched a game. How would they feel about their baseball homework? Denise says that’s what’s happened to mathematics instruction. The essential play has been left out. I say essential, because for mathematicians, mathematics is a playful, creative activity. Here is the secret solution to the crisis of mathematics education: we adults need to learn how to think like mathematicians. Most of all, mathematicians love to play. We may be tempted to think of mathematics instruction as one more box to check off, or at best a set of knowledge and skills for our kids to learn. But occasionally, we and our children glimpse a little fun or beauty in mathematics. How do we nurture that vision? Denise offers hundreds of resources and ideas for how to enjoy the subject; so many suggestions you could spend years exploring them with your children. But don’t be overwhelmed: give it a try. But I hate mathematics, so how can I help my kids like it? Introduction: Can You Identify the Math Myths? I recommend Let’s Play Math by Denise Gaskins. 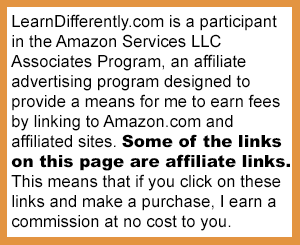 Click here to buy it on Amazon. What do you do to help your children and teens enjoy mathematics? Please comment below.